I don’t do advertising on MTGCP. I feel like I’m a Ronin: a masterless samurai who does what he wants when he wants. I’ve turned down advertisers on this blog before because I don’t want them to limit what I can create on this blog without feeling guilty of hurting the people paying me to write. If I want to write something that my advertisers don’t want, I’m out of luck. Not so if I don’t have any. That’s different if I write on other websites because I’m on their site, not mine. Not being tied down to anyone exclusively allows me to do some awesome things. Like what I’m about to talk about today. In a series of 4 posts I will be working with Card Kingdom, one of the largest Magic suppliers on the internet, to talk about their secret project. Finally, after months of secret tweets and meetings, it can finally be announced. I first met Dan Tharp at PAX this past year. He’s the PR director at Card Kingdom, and the one who’s behind the twitter, facebook and newsletter they put out. We’d been talking online for a while and with Card Kingdom’s presence with a booth at PAX, it would be a great time to meet. After a brief introduction, we talked about getting together at the PAX Scars of Mirrodin party afterward the convention and engage in some conversation. So, after I helped spoil those cards for you, Dan and I went to the bar for a drink. “We’re opening up a new store in Ballard.” It’s a section in the city of Seattle, for those who don’t live in the area. “Well, that’s cool.” It’s always good when more card stores are opened as it gives more places for Magic. Then he proceeded to tell me. What follows is their plan, currently underway. Much like how if you’re in Portland, Oregon you visit Powell’s Books, this will evoke the same feeling for gamers in Seattle. Right now, Berserk Games and Card Kingdom operate under the same roof. Berserk Games deals with table top, board, dice, and various other games while Card Kingdom deals with Magic. At its current location, Card Kingdom has the same problem that any card store in the city has: space issues. When I walked in there for the first time, it was wall to wall games from the Berserk side of things. There were no tables, hardly any Magic product on the floor. It was smaller than my first apartment (while cliche is true). Being an internet business has its benefits, and sometimes has its drawbacks. You want the atmosphere of people wanting to come in and sit and play. Not just for Magic, but other games as well. It creates a more relaxed environment where you can be yourself and want to try new things. Have you ever walked into a store and wanted to demo a game out before you buy it? It’s almost impossible to do so currently at the store. How about meeting a bunch of friends to get a game of Dominion or a D&D campaign together? Can’t be done currently at Card Kingdom. By just being a store without a place to play, you’re missing people who might become potential gamers when they don’t see anyone else there playing. It’s not just a loss business opportunity, but a loss opportunity at a chance of growing the community of gamers. They bring out fold away tables for FNM and hope they have enough space for everyone. Players cram in there, looking to have a fun time; elbows brushing against each other. Forget to even more around for the other customers, who want to look at the games. There’s no room. Most of the time, in a dedicated card store, this issue is not such a big deal. But there’s more than one operation going on here. By being successful in several areas, Berserk Games/Card Kingdom would be able to do wonderful more grandiose things. And it’s because of their success, the Card Kingdom empire moves out of a place almost no bigger than my first apartment and into a remodeled estimated 7,500 square foot palace. That’s almost four time the size of my house. The castle for the Card Kingdom. Yes, you read that right. It’s not like they’re moving to a larger store down the road, hanging up a couple of posters and flipping the neon sign on to flash OPEN. Taking advantage of the current commercial real estate market, Card Kingdom is relocating to an entirely custom built space. Listen, I wouldn’t be going insane over just any store opening up, which is why I was a little skeptical at first. But when you have a floor room AND three separate areas all combined into a kingdom, it’s way more than a store. Right now, they’re under construction. Like, right now. 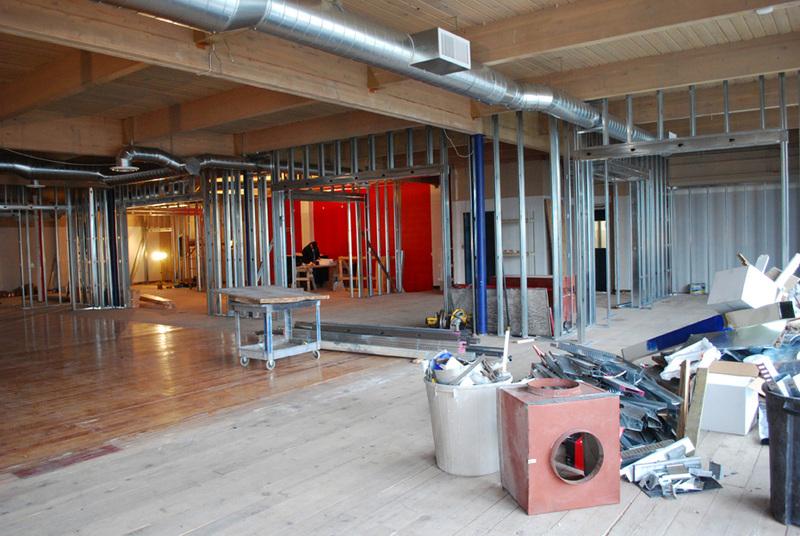 The scheduled opening date is some time around mid-April. As I said, this isn’t throwing in some glass display cases and calling it good. They’re remodeling it to fit their desires. If that isn’t cool, I don’t know what is. Good news though, I have taken a look at the plans and let me say, I was blown away. I have never seen anything like it for a card store. At what point does this stop becoming a simple card store? 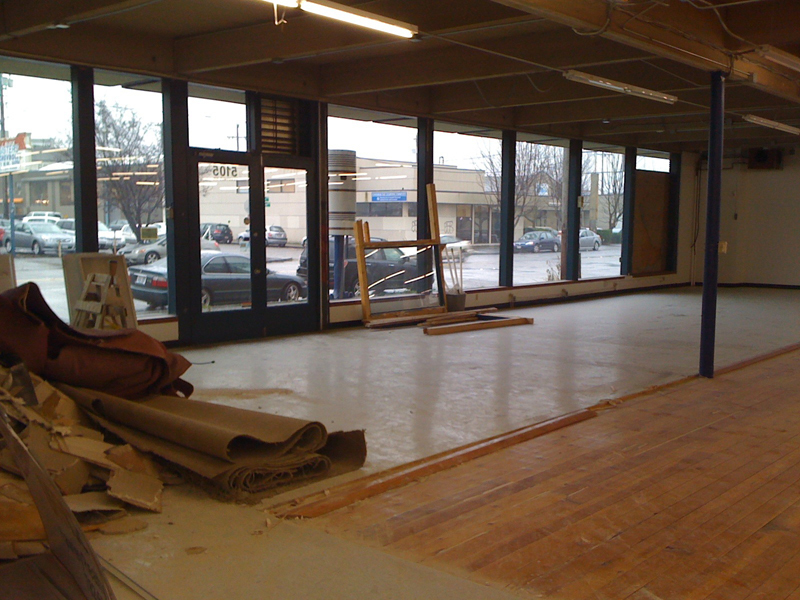 The main floor is divided into four areas: the main area including board/dice/other games, CCG’s, RPGs, and minis. With this much new space, they can expand their services. But each of these areas are not open spaces like a normal card shop. Each area is separated by wall dividers with doorways leading into the next section. The card players are separate from the mini tables. The role players stay away from the card slingers. Each section has a little privacy. Feel like you want to come in and play around with friends for an hour or five? No longer do you have to wait until Friday Night Magic for them to pull out the tables. How about demoing that really cool game your friends keep talking about? You won’t have to fight table space with the players who have come to enjoy their weekly D&D game. While some of the design aspects are still being decided, there’s one thing for certain: when you walk into those rooms, you’ll know where you are. Each of these separating walls will be covered with product, giving you the feeling of being engulfed in your favorite hobbies. Alright, fine you want to see a pic of those rooms in their current condition? The size of those rooms together are larger than Card Kingdom’s current space. And there is so much more to come. The people who created and run Card Kingdom game themselves. They D&D, play Magic and Settlers of Catan. They’re opening this up because A) they can and B) they want a place to invite others to do the same thing. What good is being able to game if you have no one to do it with? Sometimes it’s more fun to get out the house and head to a place where you can [CENSORED] and get your [CENSORED]. Oh right, I can’t talk about those yet. Before Hasbro bought Wizards of the Coast, WotC opened up several game stores that were slightly in this model. It was a place for games and gamers to come and play. While there won’t be LAN parties in Card Kingdom, this venture takes it to the next logical step. Sure, card stores are great places to come and gather with your friends, if they have the space. Card Kingdom hasn’t been able to do that. Until now. And they’re going way beyond expectations. This is all very cool and all, but I’m more excited by the things I can’t talk about yet (Now I know how MaRo feels). If Card Kingdom was just doing what I’ve written about, it might warrant a mention, a re-tweet (Follow them on @Card_Kingdom), and I’d go visit them every once in a while. I’ve got a good card store up the street from my house. But, with so much more in store, I don’t care traveling a hour through Seattle’s traffic (with the new bridge tolls too) to get to this new Card Kingdom. Once I can get more photos of the done construction, believe me, I’ll be posting them on MTGCP. Since it looks like Mid-April for an opening, expect to see these once a month until then (Part 2 in February, Part 3 in March and the final in early April). I’d give you hints about what’s coming up next, I’m not. No teasers, nothing of the sort. All I am is the town crier, here to spread the word. This could be very cool. I went to Superstars once when I was living in the Bay Area. It was good, but not great. If this is being done from the ground up to accommodate gaming, that would be a boon, especially if they can set up a tournament series akin to what Star City, Channel Fireball, and TCG Player have all done in recent years. Nice reference to I Heart Huckabees! Also, I am so excited by this forthcoming Card Kingdom mecca. I shall visit it as soon as I can. I’ll have to high-five you there for sure! Now I really regret moving from Ballard. I lived 2 blocks from there and would walk by that shop hoping something cool would move in. Wish granted but now I’m in Magnolia.